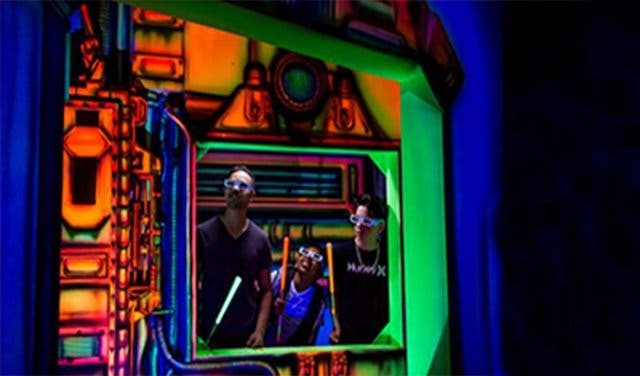 Situated at The Gallery, Glowing Rooms SA offers 3D glow-in-the-dark entertainment for young and old in a thrilling game of mini-golf! The mini-golf course is an unconventional space-themed haven for adventure seekers. 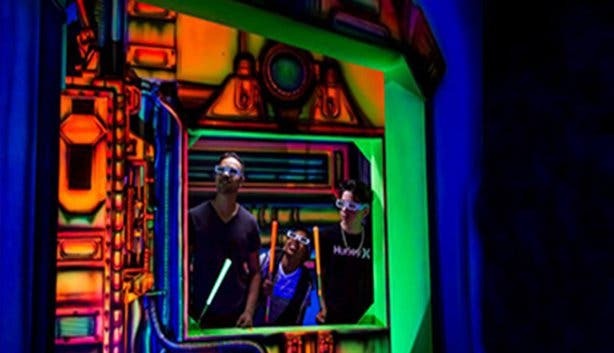 With 3D glow-in-the-dark murals leading from the entrance right into the 18-hole course, the adventure begins as soon as you enter the venue. 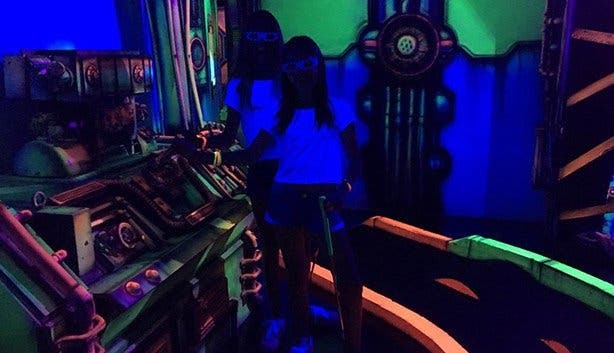 With neon green walls and glow-in-the-dark apparel for sale, Glowing Rooms offers an all-encompassing experience with the paraphernalia to match. 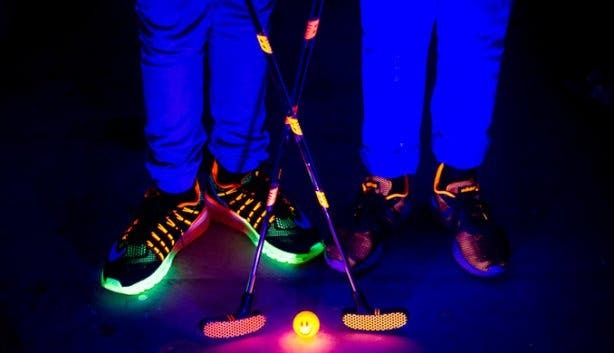 Eighteen holes of exhilarating fun mini-golf played under UV lights is what it is all about at Glowing Rooms SA. The course requires the use of 3D glasses to really experience the magic. Get a couple of glow sticks to wear as armbands or chokers at the retail store of Glowing Rooms. You can even grab a selfie stick to capture your glowing experience, once you’re done pop on your 3D glasses and watch your memories come to life right before your eyes. Need an idea for a team building event, a birthday party or simply a celebration? Glowing Rooms is the place to be! Book the Glowing Rooms party package which offers themed event rooms available for bookings, furnished with its own tables and chairs. This space features some incredible 3D murals on the walls – which glow in the dark, disco and laser lights and a Bluetooth-enabled sound system to connect your device so that you can listen to music of your choice. This offer is valid on weekends only. Every Friday, between 4pm and 6pm, pay for one player and the second one pays half price. Glowing Rooms SA is running a special. Pay R110 instead of R130 for entrance to the 18-hole course. Event room bookings cost R210 per person instead of the usual price of R230 if you pay immediately. (Prices are subject to change without notice.) Pensioners now pay R70 for player entrance and R50 for non-player entrance, so grandma and grandpa can also experience the magic of Glowing Rooms. To see any new specials they may have, visit their website. For more information contact +27 (0)21-551 22 44 or email info@glowingrooms.co.za. School holidays: Opening hours are subject to change. Please refer to the website or Facebook page for more information. Looking for other cool activities to do with your little ones? Check out our overview of 50 Super Cool Things to Do for Kids. For activities that older siblings and the whole family can get involved, too, see our list of things to do with teenagers in Cape Town. On the hunt for a unique experience to gift a man with? Check out our gift ideas for Dad.